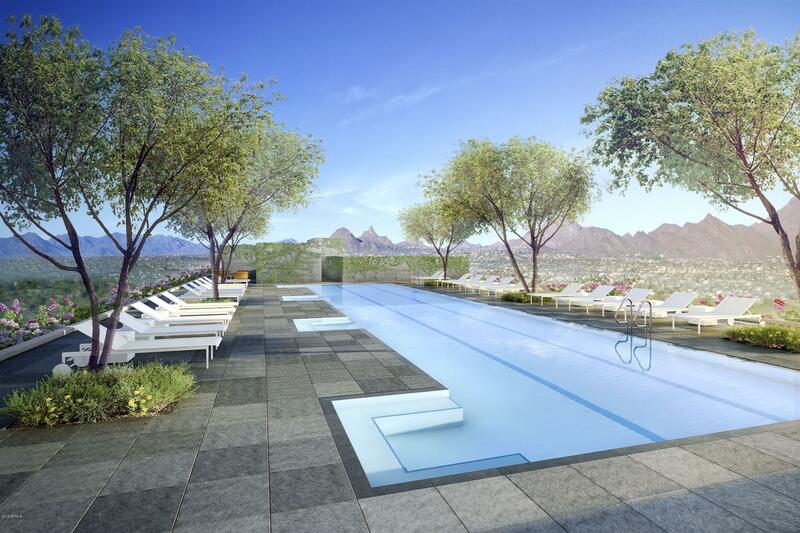 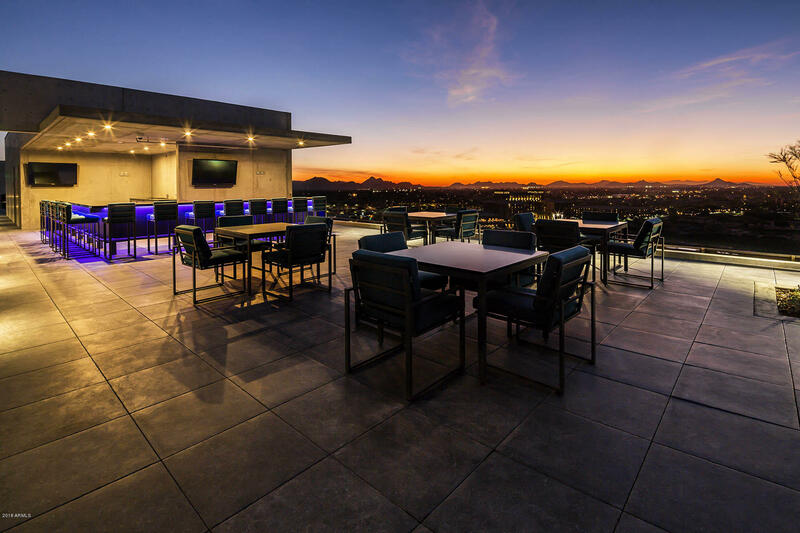 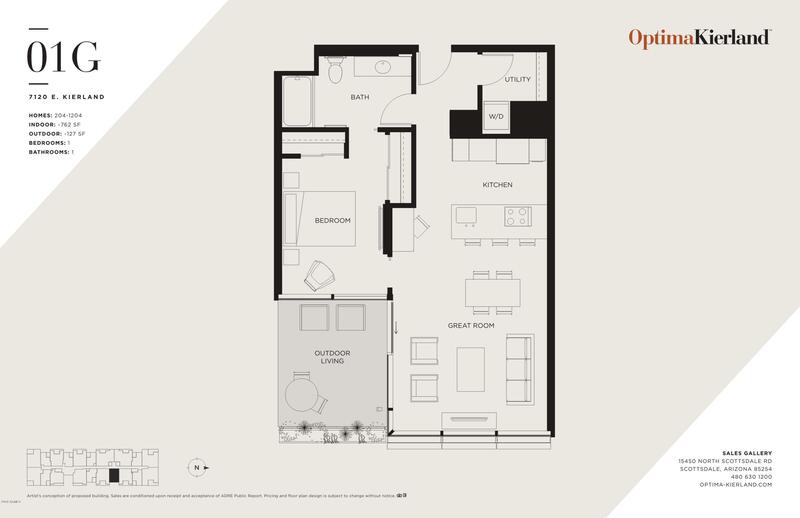 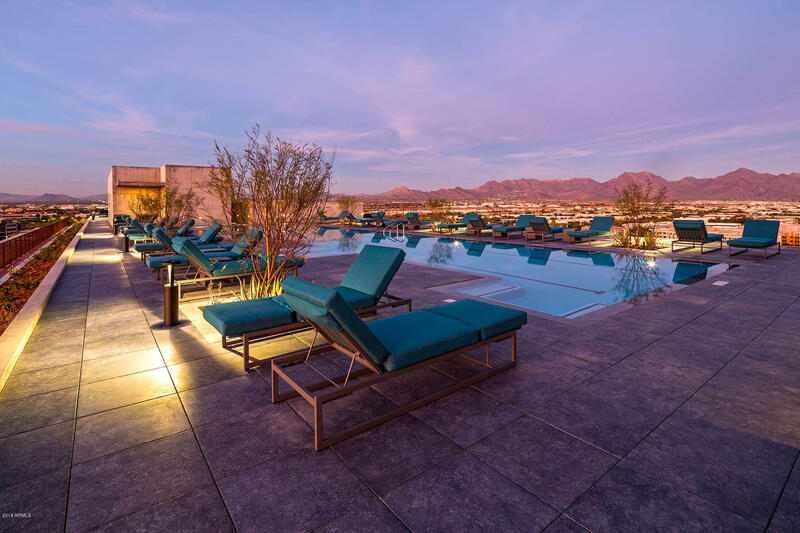 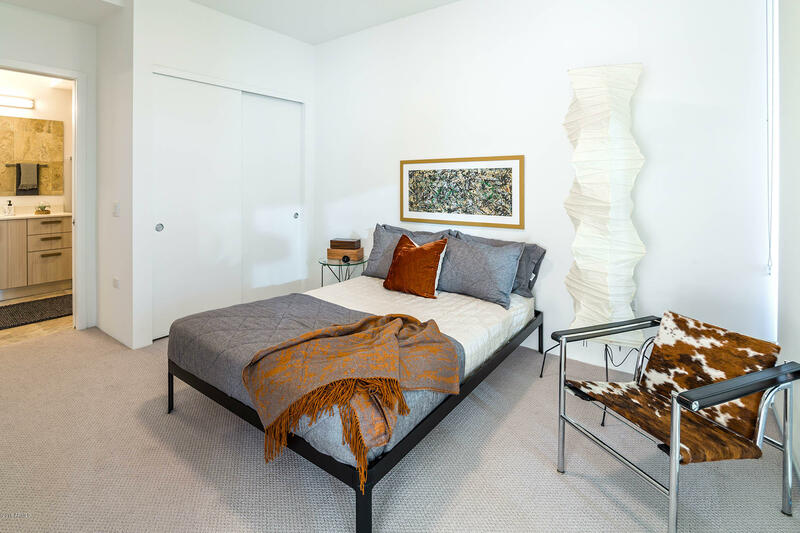 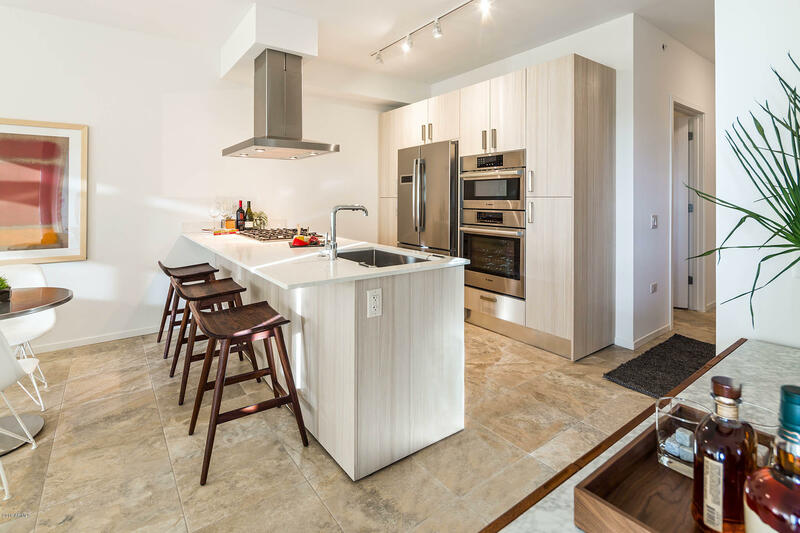 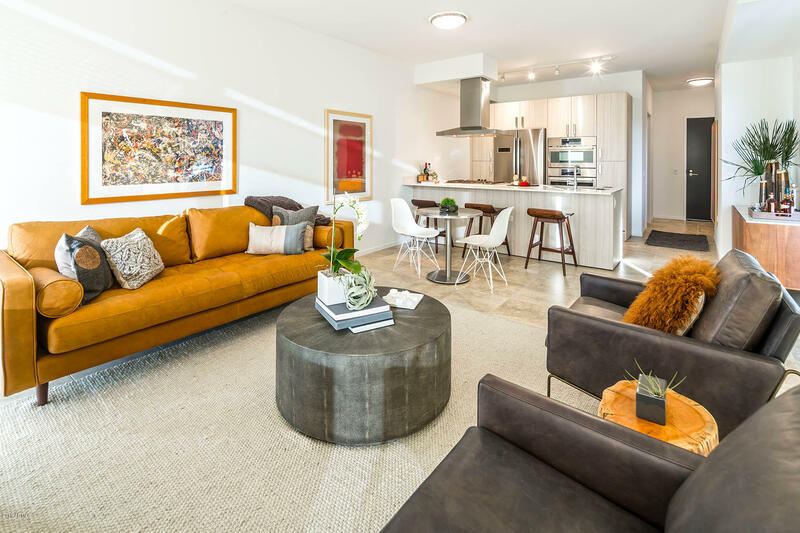 Blissful views of Pinnacle Peak and the McDowell Mountains light up gorgeous Residence 1104 inside Optima Kierland, North Scottsdale's sought-after community of luxury condominiums. 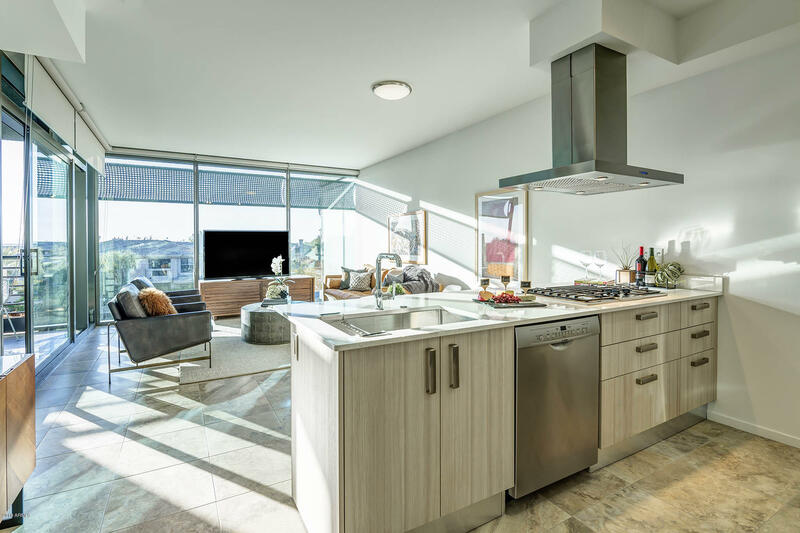 Floor-to-ceiling windows maximize these northeast vistas--sunrises and all--while upgraded cabinetry and an under-cabinet wine fridge enrich the gourmet kitchen. 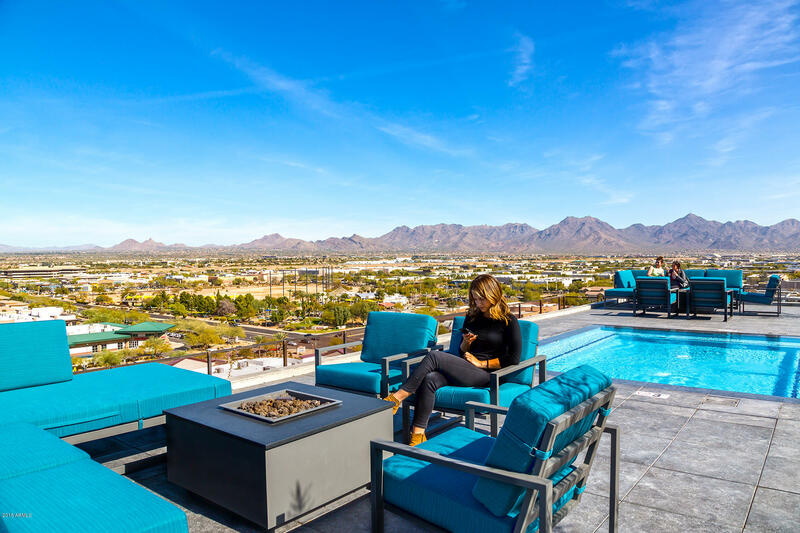 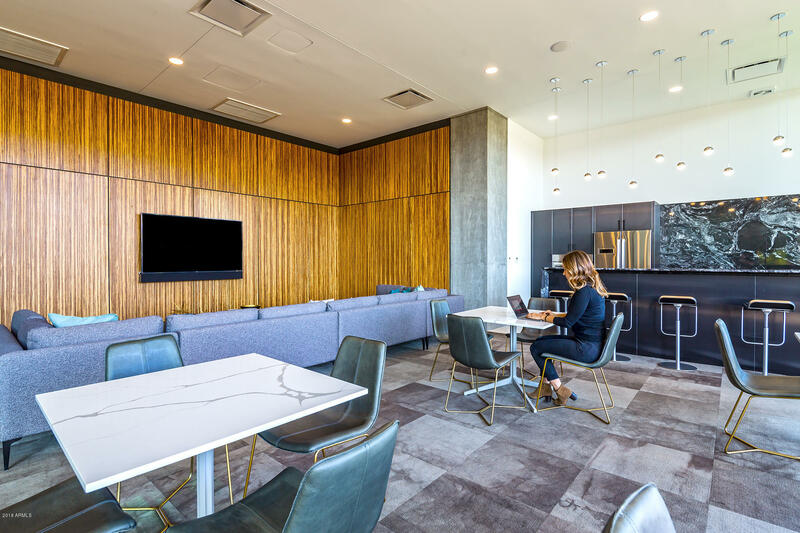 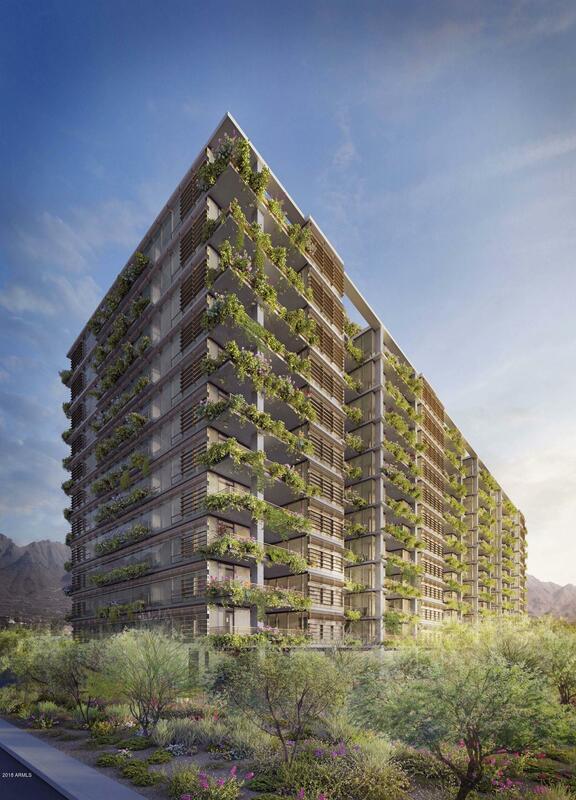 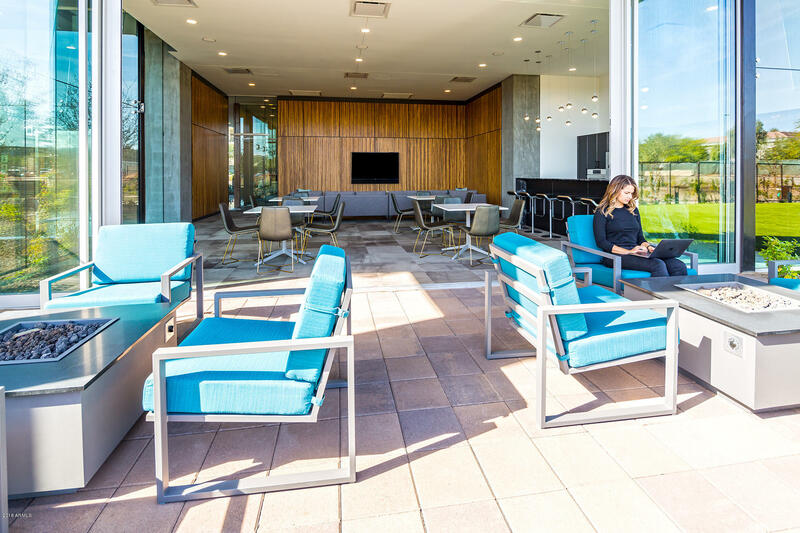 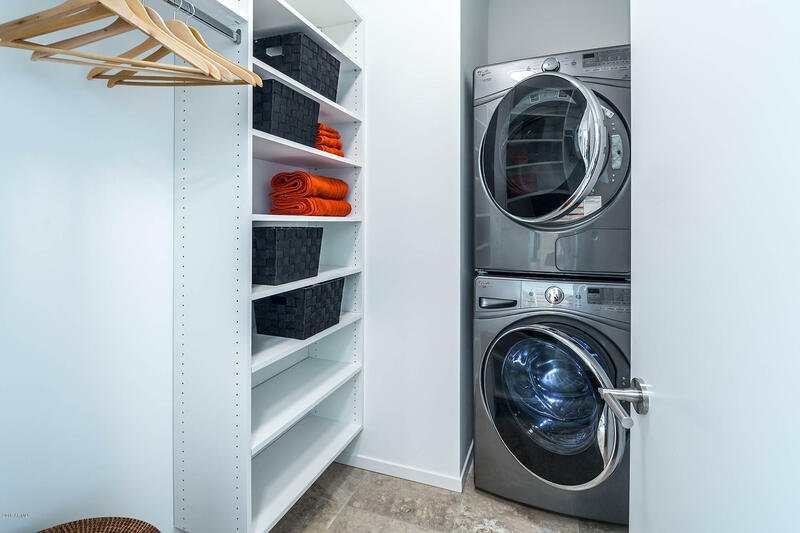 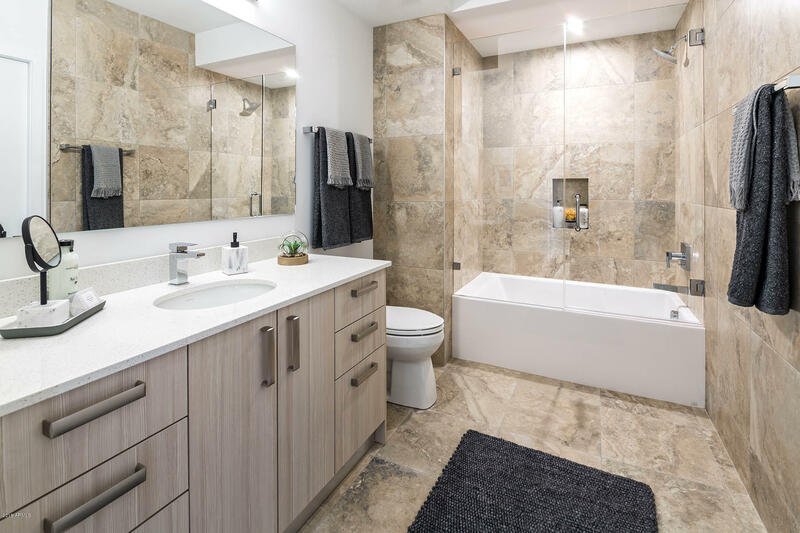 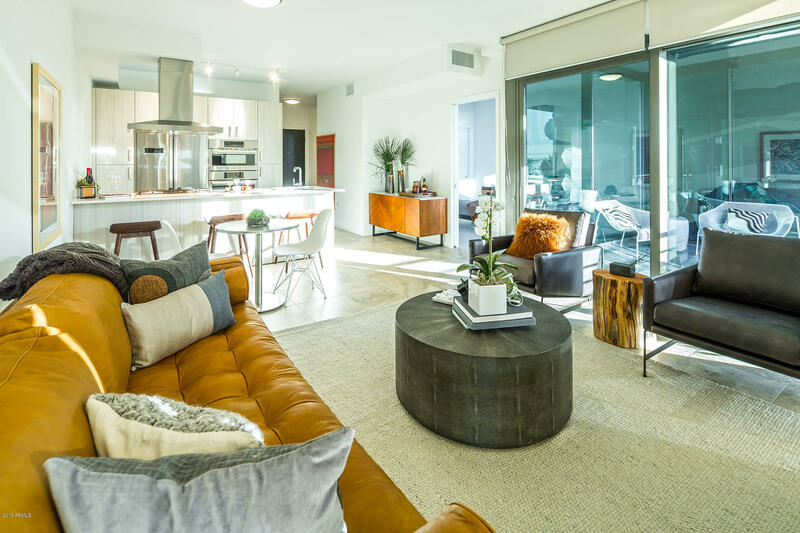 Visionary design also reigns in the community beyond; conceived by award-winning architects David C. Hovey, FAIA & David Hovey Jr., AIA, Optima Kierland is an oasis inspired by its picturesque desert surroundings. 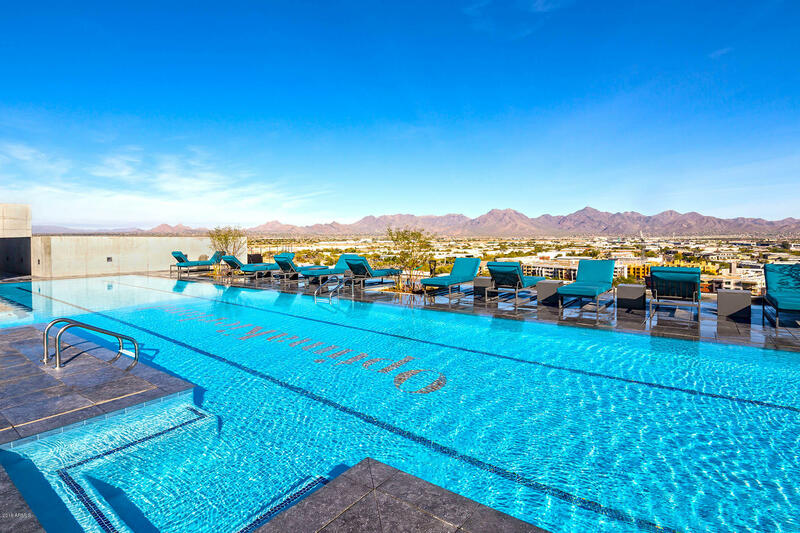 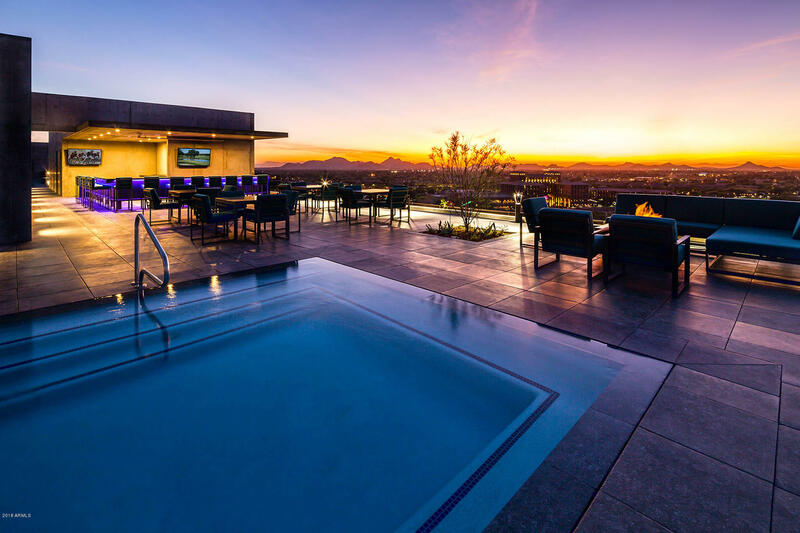 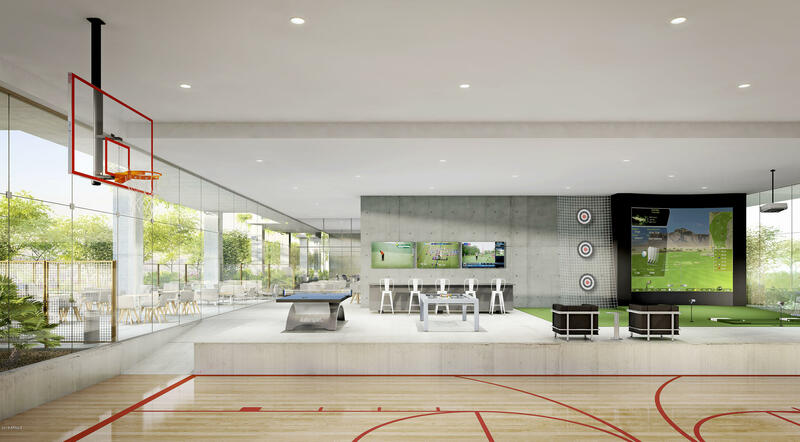 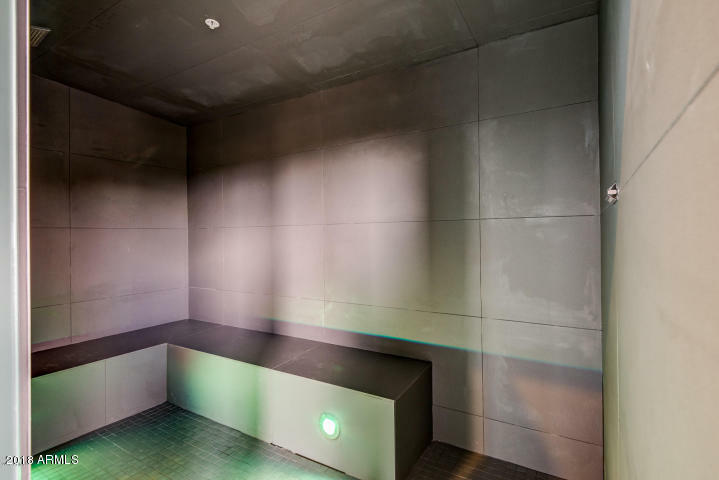 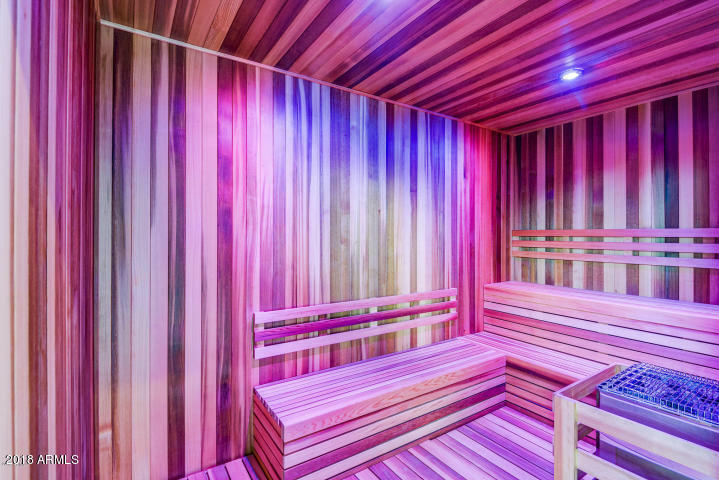 Exclusive resort amenities include a rooftop Sky Deck, heated lap pool, spa, steam room, and ~16,000-square-foot fitness center--elevate the everyday.